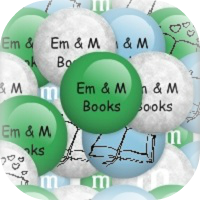 Em and M Books: Magic of Books 3 Year Birthday Bash with Giveaway! 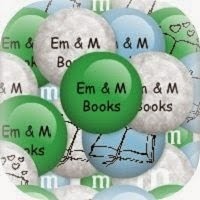 Magic of Books 3 Year Birthday Bash with Giveaway! Under the guise of saving her best friend’s marriage, Annie Harper catches the red-eye out of LAX to Oahu. Less than twenty-four hours after hearing Marissa wanted to kiss their old high school crush, Annie sails away with the handsome owner of the Erika Rose excursion boat. She only meant to keep Terence Javier from locking lips with Marissa, but the moment she learns his little girl needs an advocate, Annie brings her friend back into the fray and destroys the remnants of Marissa’s vacation. They disagree on most everything, except the love they both feel for their dogs, a Boston terrier and a Jack Russell terrier. When Jude's Italian mother and Malik's Iranian mother decide they are a great match, Jude and Malik are thrown together out of the courtroom. Both dogs and mothers fight to bring the two sides together. But his Persian heritage and her father's political-aspirations throw the biggest barrier of all between them. Their dogs, Clyde and Suzanne, show them how to love. It's up to the two lawyers to overcome culture, religion, and their families to find happiness. 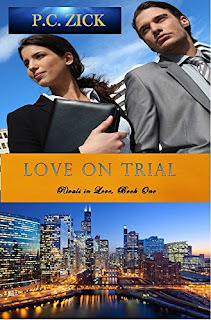 Love on Trial is the first book in the Rivals in Love contemporary romance series set in Chicago. The six Crandall siblings find success in their careers, but sustaining a relationship eludes all six of them.Their father, a U.S. senator, demands perfection, and their mother, heiress to a Chicago meat-packing conglomerate, only wants grandchildren to fill her empty nest. A lawyer, a pilot, an actress, a race car driver, a cable news anchor,and a chef--over-achievers all--discover there is more to life than a career. 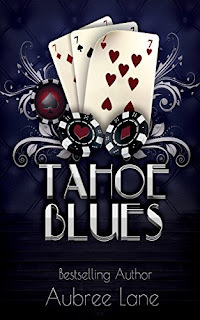 When Cara Lee Greene finds that the glitz and glitter of casino life isn’t all that it’s cracked up to be, she divorces the Lake’s self-proclaimed King of Tahoe, and tries to separate herself from the rich and powerful Alexander family. 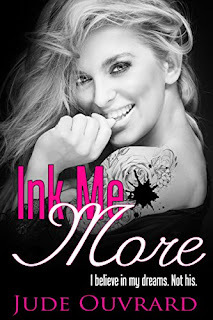 In her quest for a new life, Cara is able to reconnect with some old friends. She finds a new home, a new love and a new piece of jewelry around her ankle. Under house arrest and accused of a crime she didn’t commit, Cara must rely on a funky group of misfits to uncover the truth and set her free. 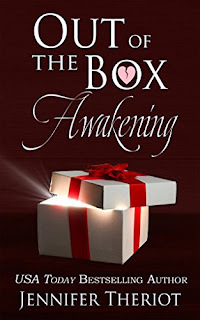 Believing himself above society’s mores, Duncan Alexander doesn’t know what he has until his beautiful college professor wife walks in and finds him in bed with another woman. Losing Cara is not an option and Duncan will do anything to get her back. With a family whose wealth was built on profiteering during the Prohibition years, Duncan is not above doing what he deems necessary to retrieve his queen. His family sits on the sidelines. They have given Duncan free rein, but in the end will Duncan be able to retain his throne?